Wheat Belly is a recent book about by Cardiologist William Davis my oldest sister told me about since she just finished reading it. Yep, it might sound pretty gross and you may not want to read it for fear it will make you want to cut out wheat, but that’s exactly why I want to finish reading it. After stocking up on Chia seeds and trying to get into the habit of making fruity breakfast smoothies a few weeks ago, I have started trying to pay attention to what I eat at all times of the day– whether that means remembering to pack a healthy salad for lunch or saying no to the always fully stocked snack cupboard in my office, not going overboard with the sugar and cream in my coffee, etc. I have yet to feel that Chia seeds “give me energy” like everyone has been saying but since I have them every morning now, I’ve realized I don’t feel as starving when 11:50am rolls around – when my stomach would typically be starting to growl. Chia seeds affect everyone a little differently I guess. I believe that the increased consumption of grains – or more accurately, the increased consumption of this genetically-altered thing called modern wheat – explains the contrast between slender, sedentary people of the fifties and overweight twenty-first century people, triathletes included. So I have been off wheat so far for about 1.5 weeks. Have I noticed anything different? So far, nothing too drastic. Is it hard? Yes. Well, it can be very difficult on certain days. My first week was almost a bust. There was one day when I simply forgot I was doing this no wheat thing and ate a cookie. Another day when I had half of a cupcake jar (couldn’t let that go to waste! )… and yes, last Wednesday I ate one slice of pizza. Baby steps right?! The hardest for me is definitely baked goods. 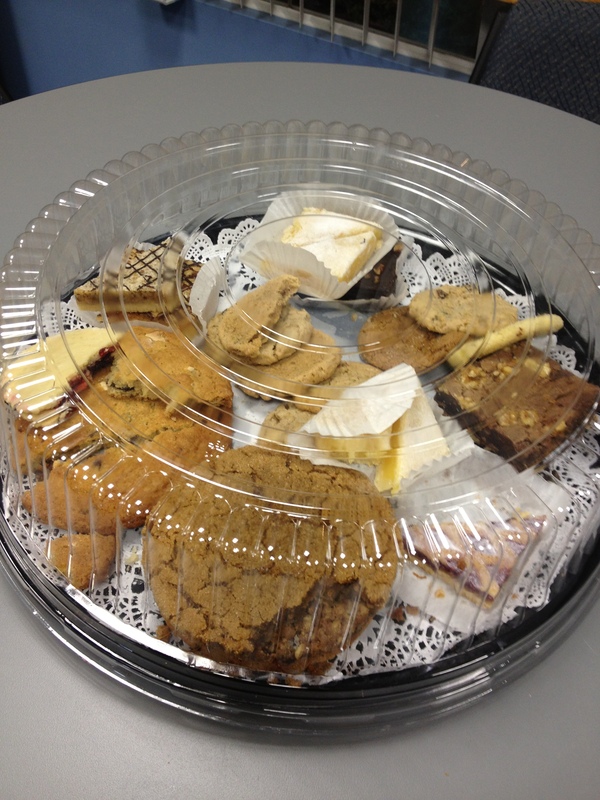 Especially since our office often has cookies and cupcakes just sitting around…. 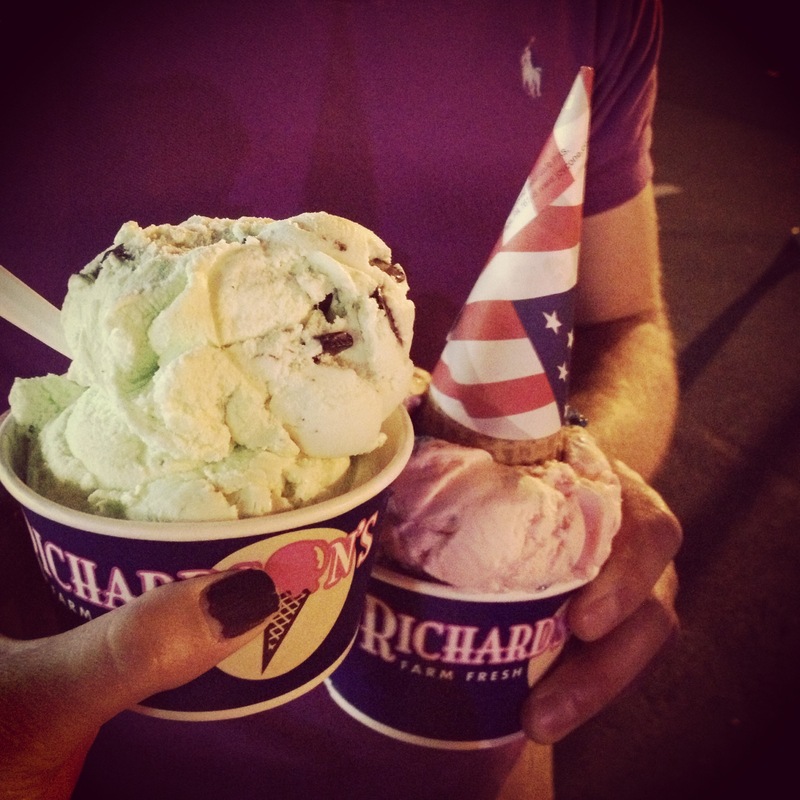 I’ve got too big of a sweet tooth! 🙂 I’m not going super strict with this no-wheat thing yet. I haven’t been reading all the labels scouting for gluten. I think I just have to start slow … and we’ll see what happens! At least things like this aren’t off-limits! So. I’ll leave you with this… let’s get baking! How about you, readers — what do you think of a wheat-free diet? 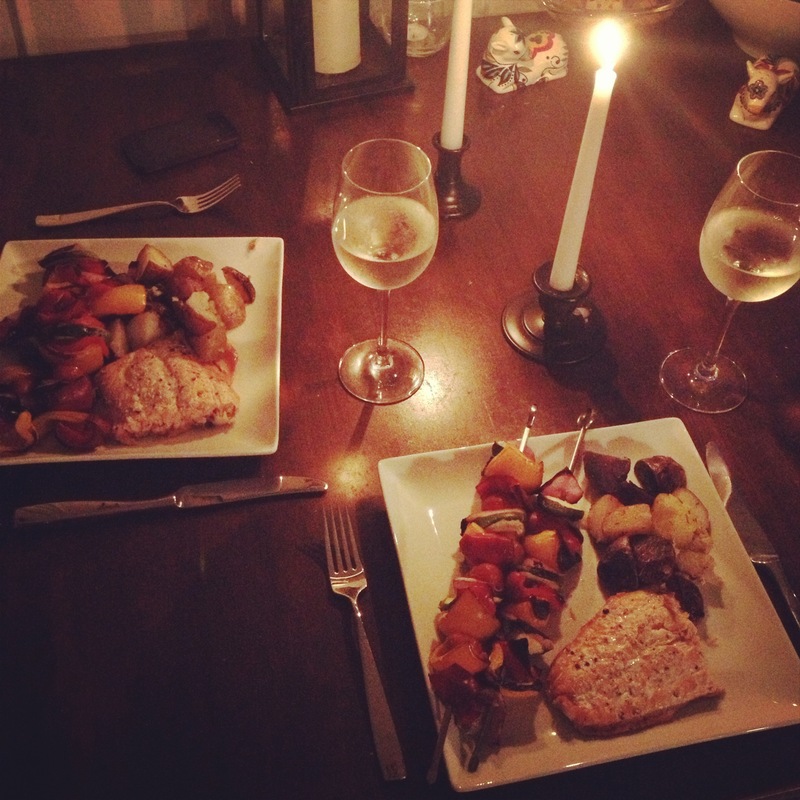 Are any of you gluten free eaters? 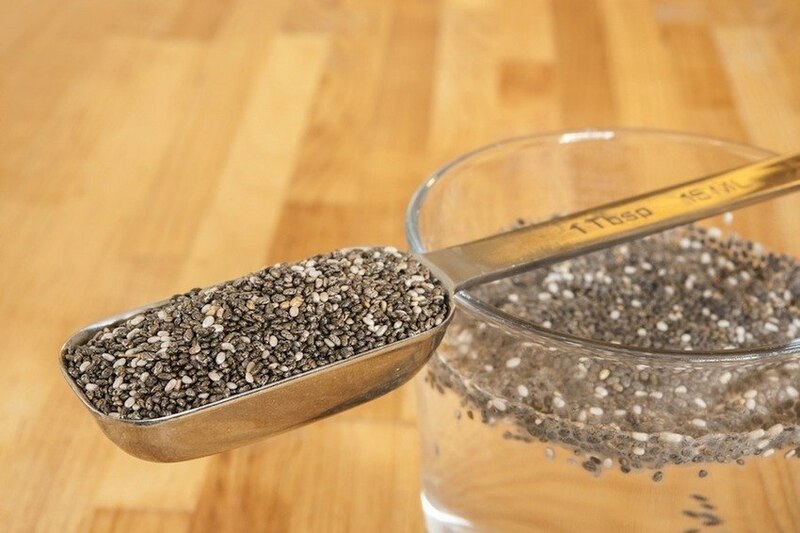 What’s the deal with CHIA? 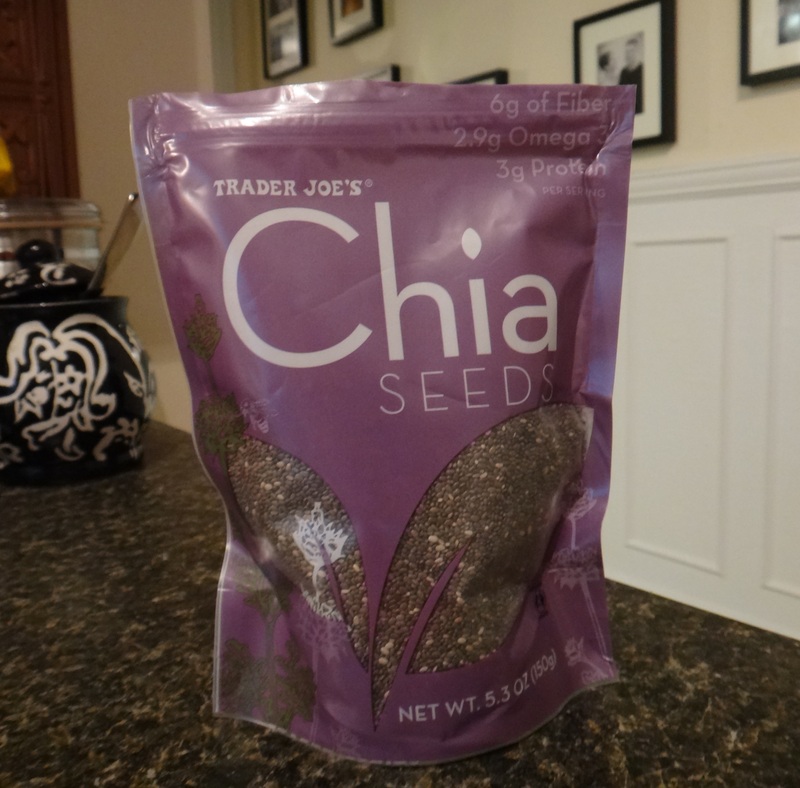 Not chia pets, Chia seeds! 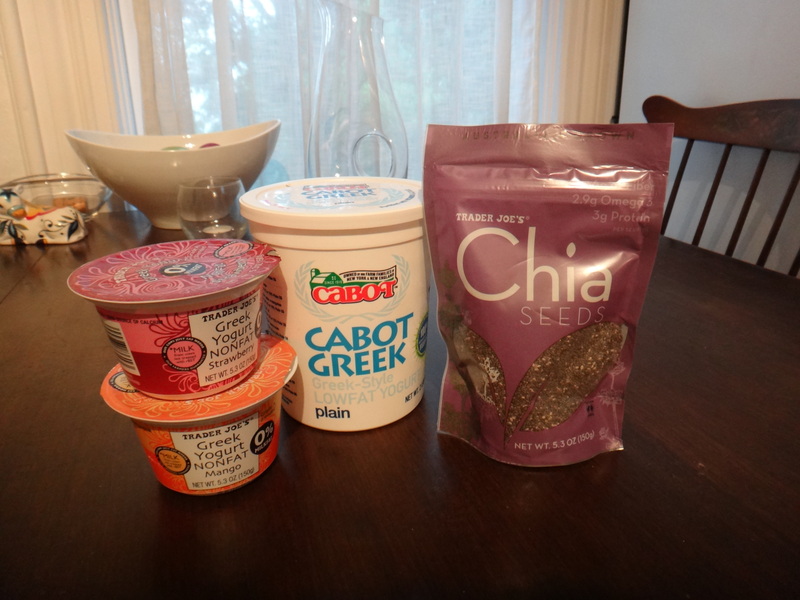 Another newish fad super food… and it’s time to give it a try! I’ve started having a yogurt and salad at lunch and yesterday morning I woke up and made a Greek yogurt/frozen berry smoothie. It made my day — not only did it taste good but I felt healthier after I had consumed it as if I had just ingested a glorious superfood. I didn’t like Greek yogurt very much at first and couldn’t understand people’s obsession with it…. the consistency was just a little too chunky for my liking but once you get used to it, you don’t notice that as much! The stuff I’ve read sounds good and listening to friends rave about them is as good of a review as any (;))…. so I thought, why not? I stopped by Trader Joe’s and picked up a bag for $5. I had a tablespoon in my leftover frozen smoothie last night. I’ll probably start slow… 1-2 Tbsp a day, but I’ve read you can have up to 4 Tbsp. and it’s good for you! I’ll put them in smoothies and sprinkle on my salads at lunch. If you have any advice for me with this, let me know! Ways to take it, how much to consume,… how you’ve seen results… I’m all ears! If any of you are left you’re probably wondered what happened to me. It’s almost been a year since I posted about my little Bachelor finale party… And now a new season of the Bachelorette has started up, reminding me to get back on the blog! I have been getting tired of feeling guilty about not posting anything so I’m coming back. Truth is I’ve been busy (aren’t we all) and haven’t been doing much of anything “post-worthy” — or at least nothing very “DIY” or creative… I always said I’d never apologize if there was a Casual Vacancy in my posting suddenly but here I am, apologizing. Summer Fridays are in full swing again at work so with this bit of extra time during the week, Ill try to start posting regularly again and I’ll try not to go so long between posts this time!